It would be fair to say that Marvel has been having a bit of a rough patch lately. For the first time, in a long time, they’re no longer the number one publisher. DC has taken over in sales and in many aspects popularity. The Rebirth launch was wildly successful and has bumped Marvel to the number two publisher position. 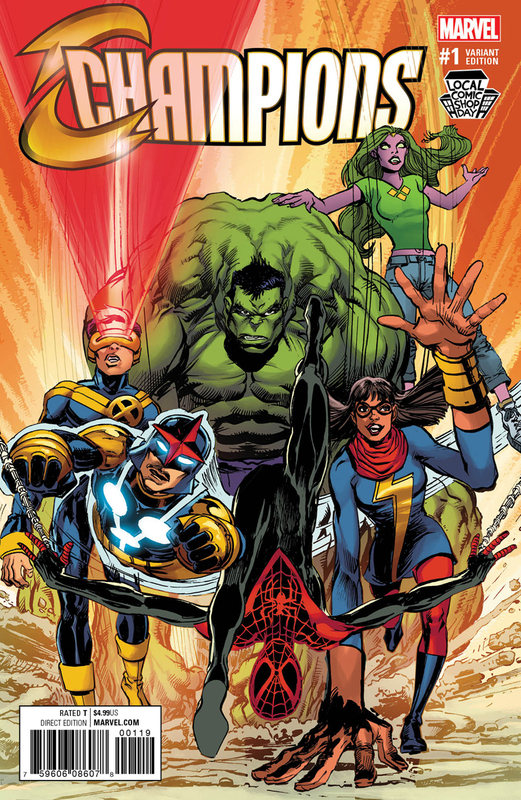 Marvel has tried everything lately to drive up lagging sales, from big cross-overs to massive event books. Some have been somewhat successful, while others have failed. 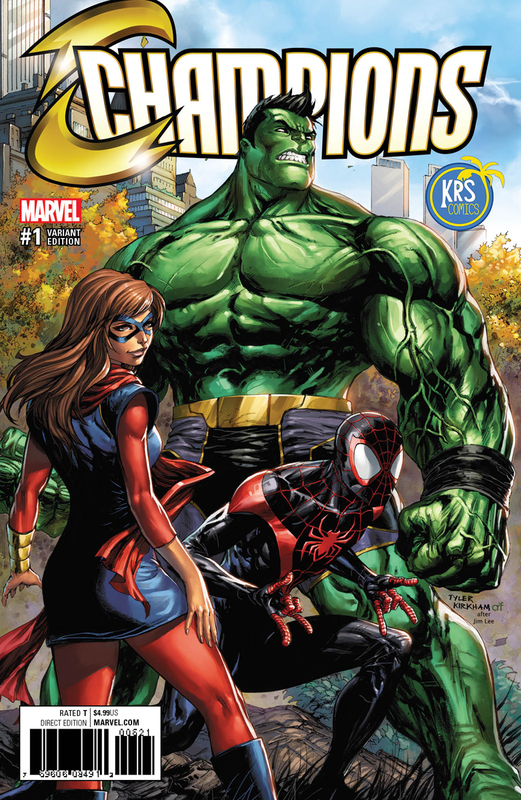 Marvel is bringing out all the big guns for this title, from writer Mark Waid to artist Humberto Ramos. 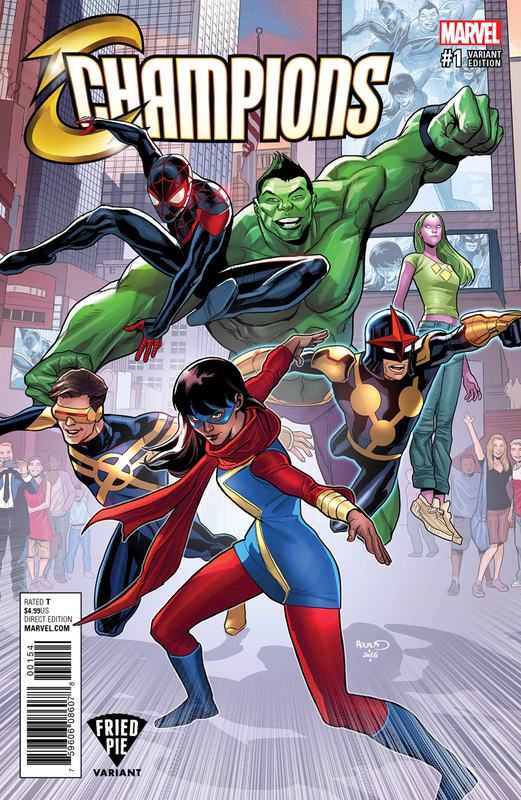 Champions has been largely hyped by Marvel, and it’s something that Marvel needs to see success with. More importantly, fans want to see something good from Marvel. Does Champions fit that criteria? Let’s take a look. 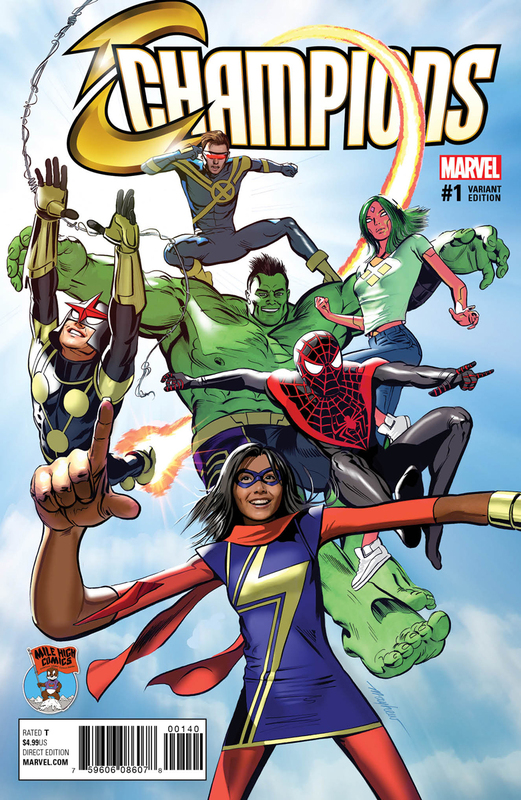 Champions clearly takes place after the event of Civil War II, but thankfully nothing is revealed from the big even, especially since we’re nowhere near the end of it.The book starts with a disillusioned Kamala Khan. It would appear that she’s had enough of the Avengers and just wants to get back to helping people. She’s grown tired of all of the adults bickering and fighting. She wants more from being an Avenger, but sees no place in the teams future so she decides to take a leave of absence. During her brief leave she decides to get part of the band back together. 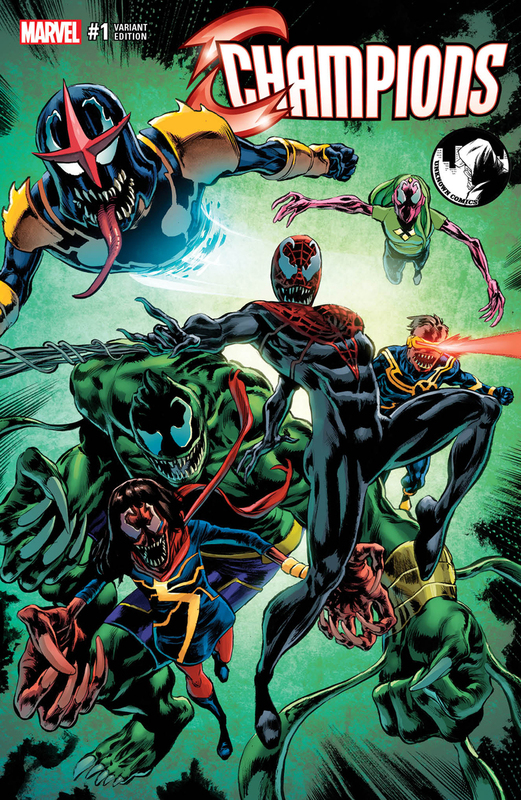 She meets with Miles Morales Spider-Man and Nova and they agree to form a new team, one made up of the teenage superheroes. One that’s going to get back to basics. 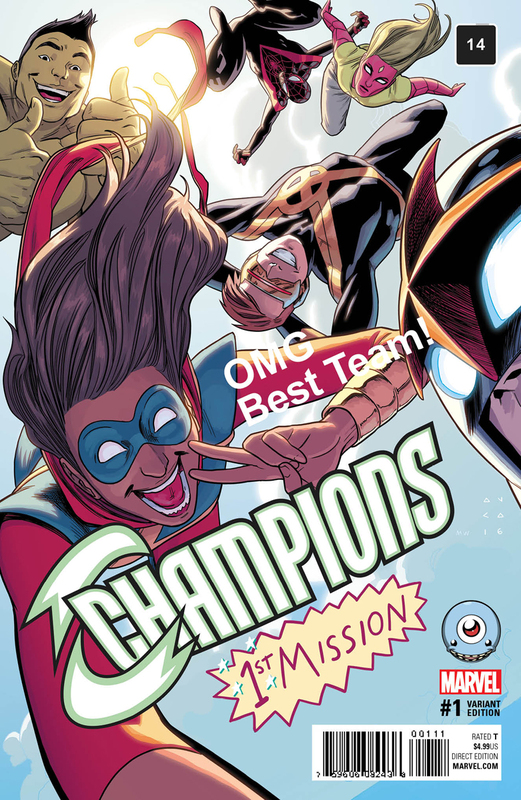 Champions also serves as the perfect antidote to Civil War II fatigue. Back to basics and back to helping people. Ms. Marvel is really the heart and soul of the book. She’s the protagonist behind getting the team together, but she also has the desire to build a better team of heroes. She wants to show the world that heroes don’t just walk away when the fighting is done, they stay to help clean up and fix the damage. Heroes don’t take the law into their own hands, they let the justice system deal with those who break the law. She wants the public to trust superheroes again, she doesn’t people to be afraid of them. It’s a noble idea and she’s picked like minded individuals to help her idea become a reality. This is where it can get interesting in future issues. Will the team be forced to make an unpopular decision? Will they have to cross the line? 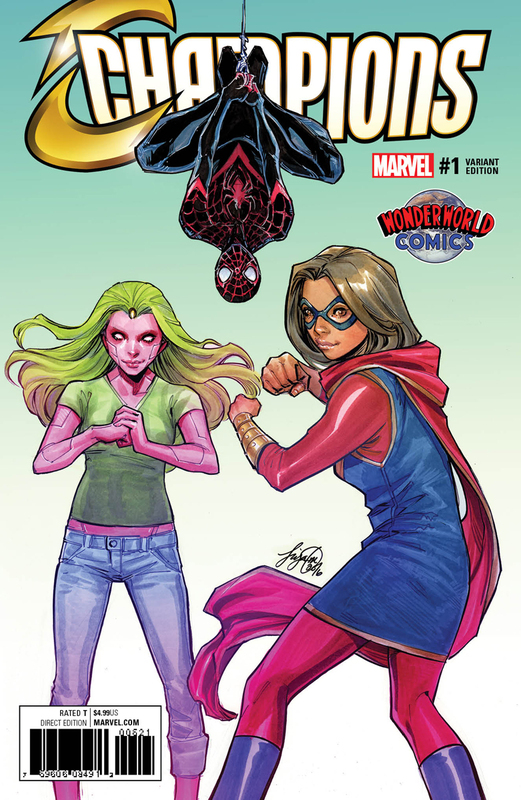 Will Ms. Marvel have to abandon her morals? 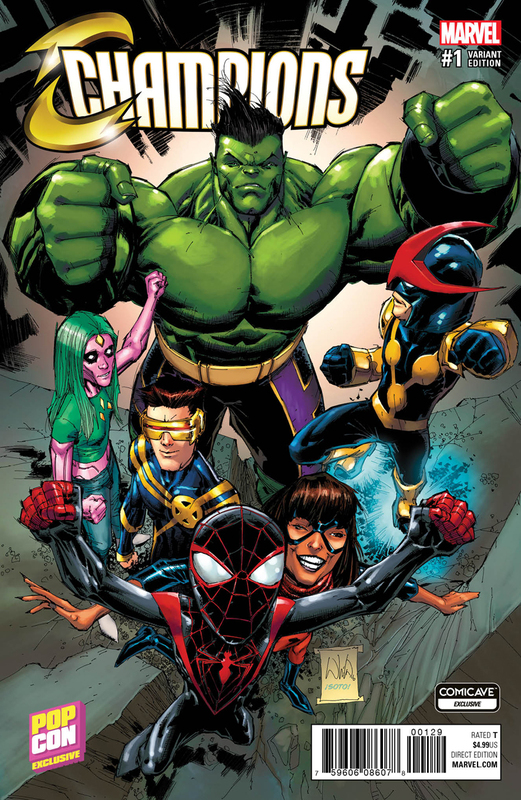 Anytime you have Mark Waid and Humberto Ramos teaming up on a book you can be sure you’re going to have a good time. 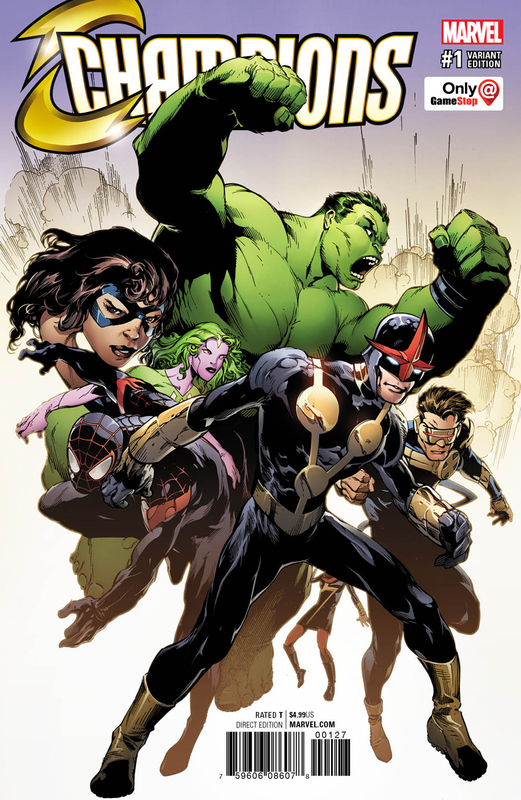 Waid has found plenty of success writing younger heroes so putting him on a book full of young heroes only makes sense. 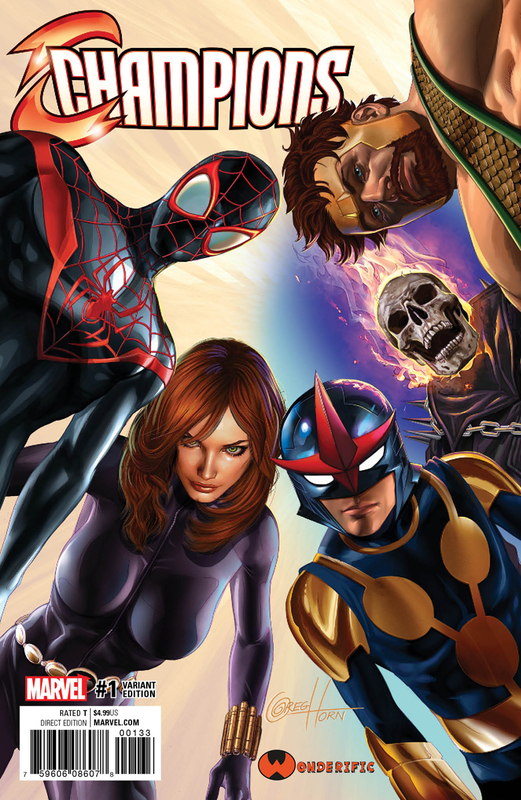 His characterization is sharp, he easily establishes a strong dynamic between Spider-Man, Nova and Ms. Marvel. This then extends to the rest of the team as we see the final roster set by the time we reach the 2/3rd point of the book. Waid does an excellent job setting up the how and why’s the team forms. The art on the other hand… well, that’s another story. 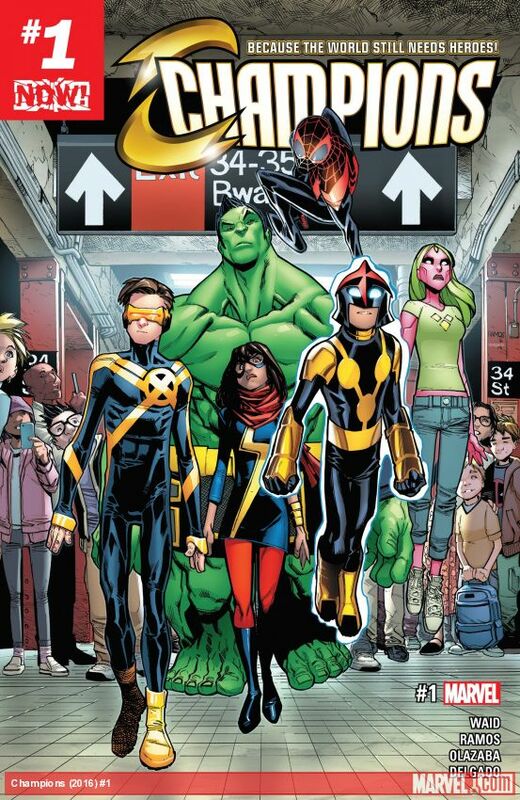 Humberto Ramos has a distinct style, one that works very well in a lot of books. Yet at times some of his artwork looks rushed, and unfortunately that’s the case we have here on a few pages. Some pages look great, whereas others have contorted faces or panels that are so busy you get lost in what you’re looking at. It’s not all doom and gloom though. There’s a nice sense of scale and energy to the action and his rendition of the Hulk looks great. Yet the art lacks subtlety at times. It’s just a bit disappointing seeing some sloppy artwork in what’s supposed to be a largely hyped book. One would hope the best artwork would be presented. In a word, Yes! 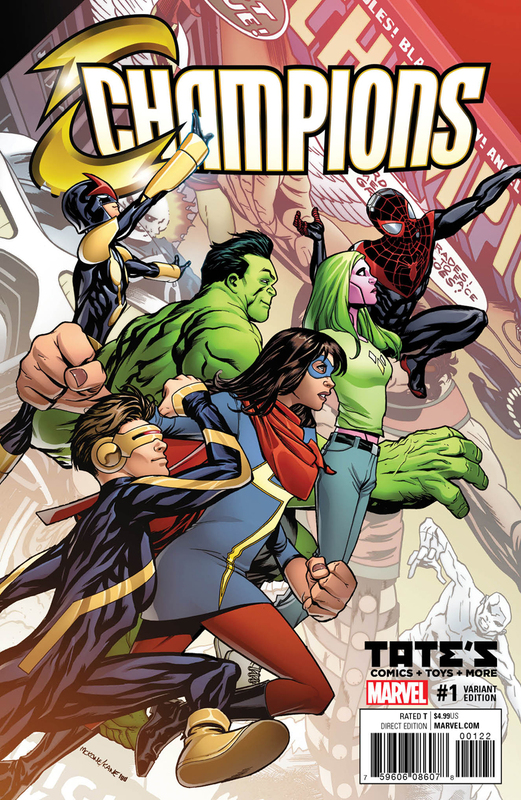 Champions is the book Marvel needs in the wake of Civil War II. It harkens back to when heroes were about making the world a better place, about helping people. It reminds readers that heroes don’t just abandon people when the fighting is done. 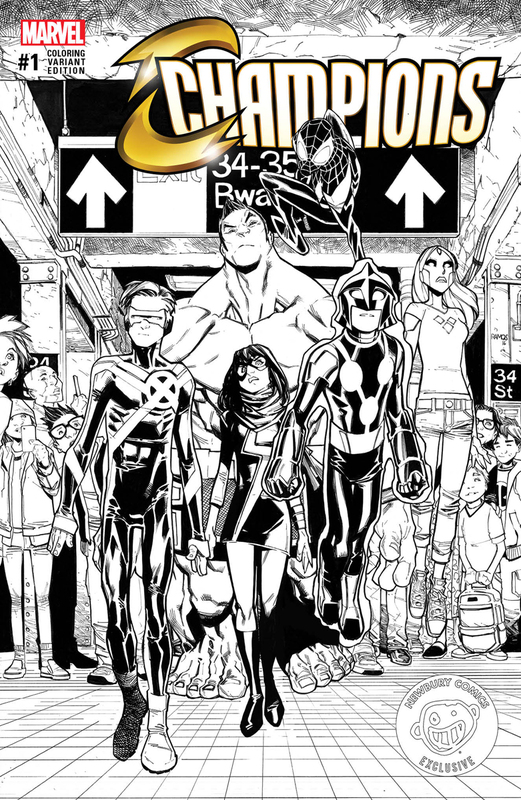 Wait has done an excellent job setting up the team and Ramos’ artwork adds a sense of levity to the story. 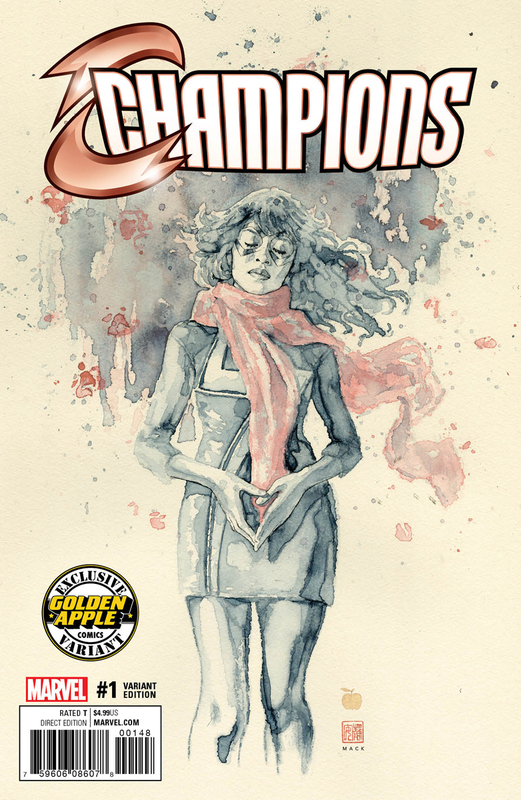 Marvel fans will appreciate a new title that actually feels like a Marvel title should. It’s fresh and fun, and that’s something Marvel desperately needs. 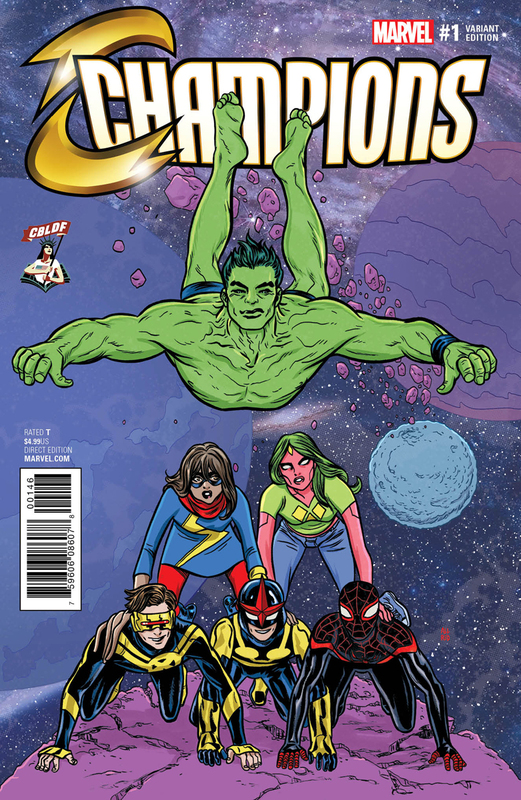 There are a slew of new titles debuting this week, Champions should definitely be one you pick up.